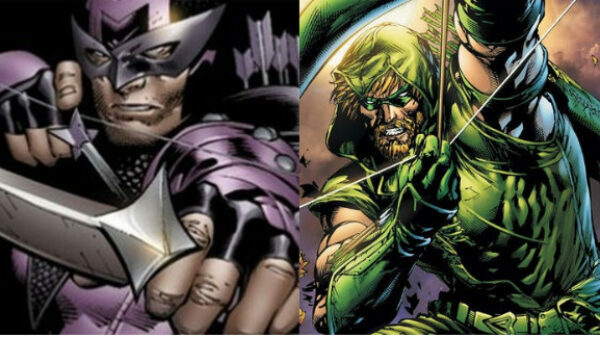 The similarity between the two superheroes is too obvious and it cannot be ignored that Marvel’s Hawkeye debuted decades later than DC’s Green Arrow. In fact, the former made his first appearance in November 1941 while the latter made his in September 1964. Unlike Green Arrow debuting as a superhero, Hawkeye was originally introduced as a villain. Apart from the striking similarity of using bow and arrows, both superheroes are members of their comics’ most powerful superhero teams i.e. Justice League and The Avengers. 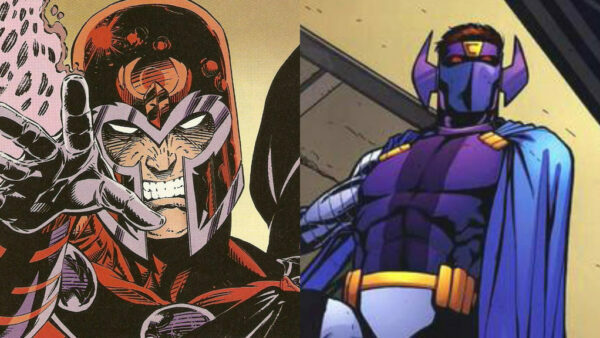 There is no doubt that Magneto is one of the most iconic Marvel characters and one of the greatest comic book villains of all time. However, what you may not know is that DC had introduced a much similar super-villain three months before Magneto’s memorable arrival. Serving as an enemy of Green Lantern, Doctor Polaris has a lot of superpowers that can be found in Magneto as well such as manipulating metals according to their will and flight through magnetic fields. Furthermore, both villains feared telepathy. 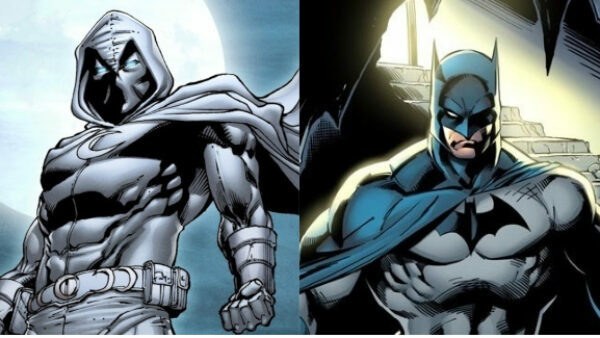 Apart from the whole bat-like persona, Marvel’s Moon Knight has been accused of being inspired from DC’s Batman ever since his creation. Both are wealthy and normal humans who rely on gadgets, fear tactics and detective skills to solve crime. Charlie Huston, one of the writers of Moon Knight, admitted that the strong comparison between the two superheroes is not baseless but insisted that there are differences, notably Moon Knight having three alter-egos. On an interesting note, even IGN referred it as a concept of what would happen if Batman suffered from multiple personality disorder. 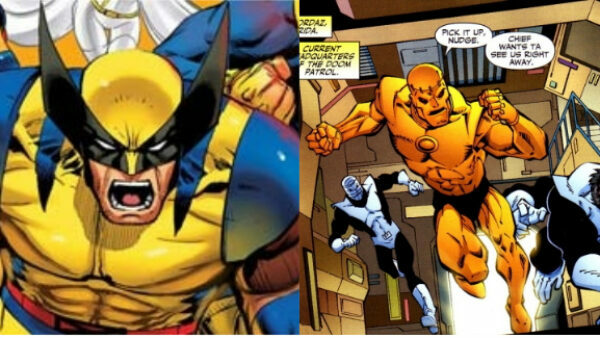 Even when Marvel steals a character from DC and iterates it, the shreds of similarities are always visible. 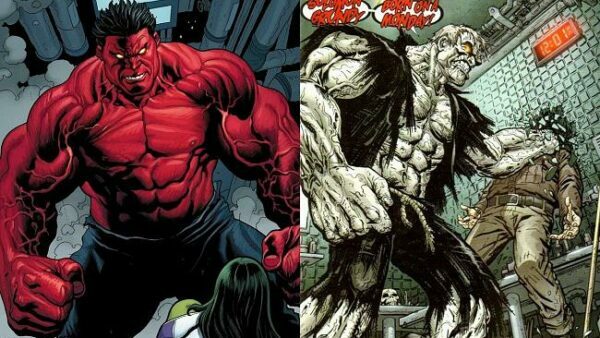 Solomon Grundy debuted in 1944 and 18 years later, Marvel created a similar looking superhero and green-washed him. Both characters have dozens of shared powers such as immense superhuman strength, durability, stamina and longevity and a very obvious similar speaking pattern of repeating their own names and few words from a limited vocabulary. 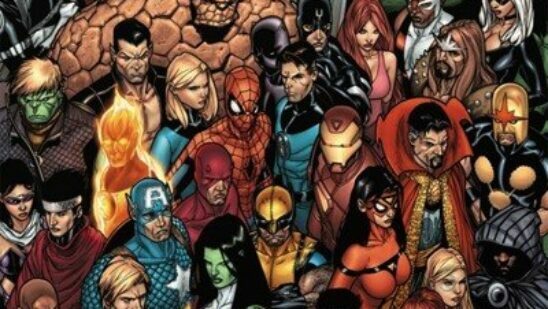 Whenever a DC character begins to flourish, there is no doubt that Marvel will be one of its biggest admirers and will plan to create a similar character. 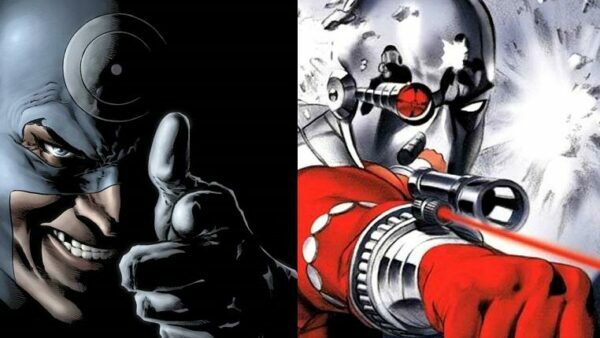 Floyd Lawton aka Deadshot is villain without superpowers but has earned a reputation of being extremely lethal because of his skills as an expert marksman and assassin. The same words can be used to describe Marvel villain Lester aka Bullseye. With a gap of 16 years between both characters’ first appearance, it was enough time for Marvel to come up with something original but chose to make a replica. Even though Marvel was able to give their character a complete new look and even some more superpowers, it could not resist changing the primary weapon of the very character they were intrigued by and hardly made an effort to alter the name. 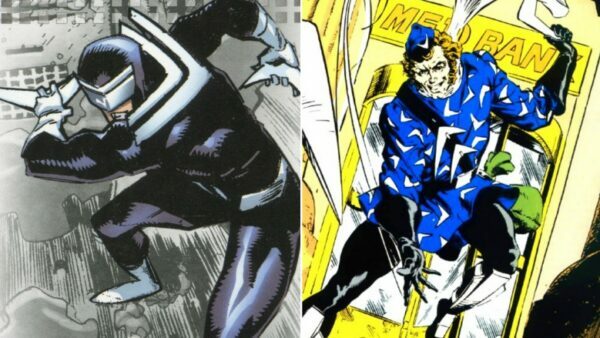 DC’s Captain Boomerang debuted in in 1960 while Marvel’s Boomerang made his first appearance in 1966 and their similarities are too visible to miss – both use boomerangs as a weapon and both are D-class villains. Regarded as misfits due to their superpowers, they were hurt to be cast out from the society but sought to use their extraordinary abilities to help people. If you think that is the story of X-Men, prepared to be shocked as the concept was introduced four months prior to their debut. DC introduced Doom Patrol, a similar group much like X-Men but lesser known due to the latter’s popularity. The similarities between the two teams are too visible to ignore as Doom Patrol’s primary villains are a team known as Brotherhood of Evil while X-Men’s is Brotherhood of Evil Mutants. As hard it might be to believe, both teams are led by a wheelchair-bound individual. Batman has a lot of villains that are considered the best at what they do and that catches the attention of rival company, Marvel. At times like these, one must wonder whether Marvel even has announce of originality as their villain is a complete rip-off of DC’s Catwoman. 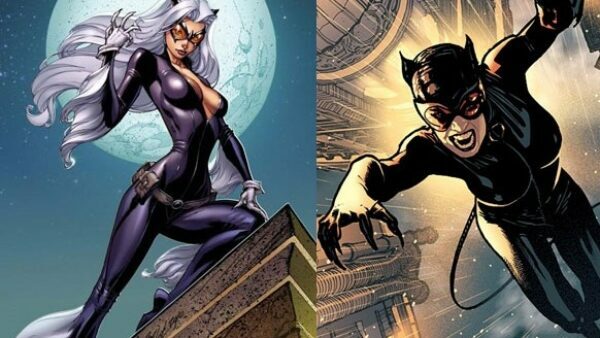 Debuting in 1940, Selina Kyle aka wears a latex suit resembling a feline, has an obsession of robbing jewelries and that is exactly the same thing what Marvel’s Felicia Hardy aka Black Cat does. The comparison does not end there as both have on-and-off relationships with their superhero counterparts – Batman and Superman – and both are seductively beautiful. Meow!